Schwarttzy published "Versatile Event Venue" on January 14, 2016 and was last modified on February 4, 2018 . 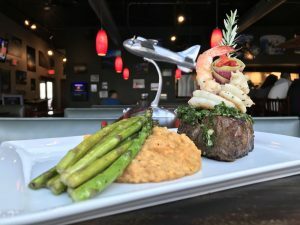 The Flight Deck is more than just a bar & grill. We have a large modern facility that is virtually unused during our skydiving off-season. We routinely host events of all types and sizes with groups up to 400 people. We also have break-out and conference rooms located throughout our state-of-the-art entertainment venue. Check our our catering packages and prices. Consider the Flight Deck Bar & Grill to cater your next event. We are known for our great food – made to order and variety of delicious seasonal recipes. Appetizers, sandwiches, salads, entrees and desserts are all available from our menu for party catering. With a variety of spaces available in our facility and the adjoined Chicagoland Skydiving Center, there is a great space for any group. Contact us to learn more about what we can serve up at your next event. 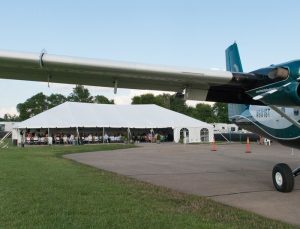 Flight Deck Bar & Grill is located on the campus of Chicagoland Skydiving Center, overlooking the Rochelle Municipal Airport. Our new and modern 20,000 sq ft facility has several spaces that transform into a private party venue for groups of 10 to 400 guests. 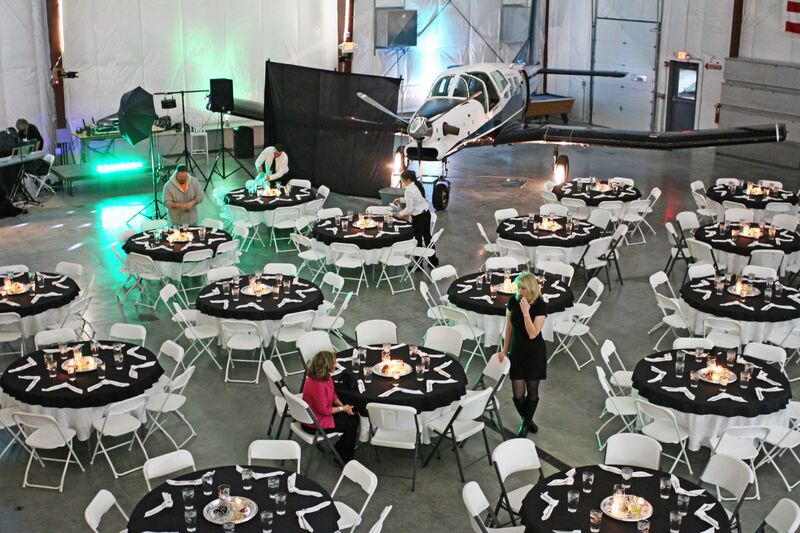 Banquets, corporate events, sales meetings, reunions, concerts and more fit nicely inside the unique and clean aircraft hangar while cocktail parties, dinners, management meetings and other smaller events fit perfectly in our facility lobby. Private rooms are available November through March. 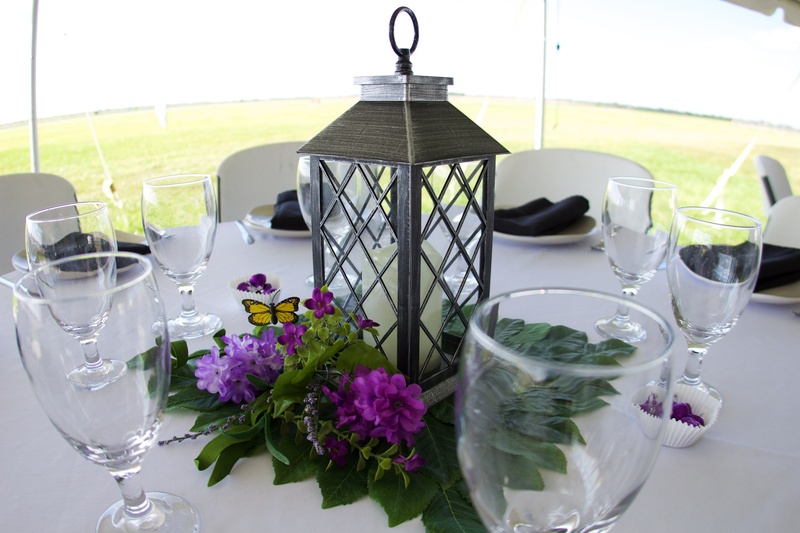 Contact us to learn more about our event services and venue availability. Our versatile tent venue is a perfect space for your group no matter the size. Located adjacent to CSC’s parachute landing area, you and your guests will be right in the action watching airplanes taking off & landing while parachutes are descending overhead. It’s truly a unique experience that everyone will enjoy. Contact us to learn more about our event services and venue availability. 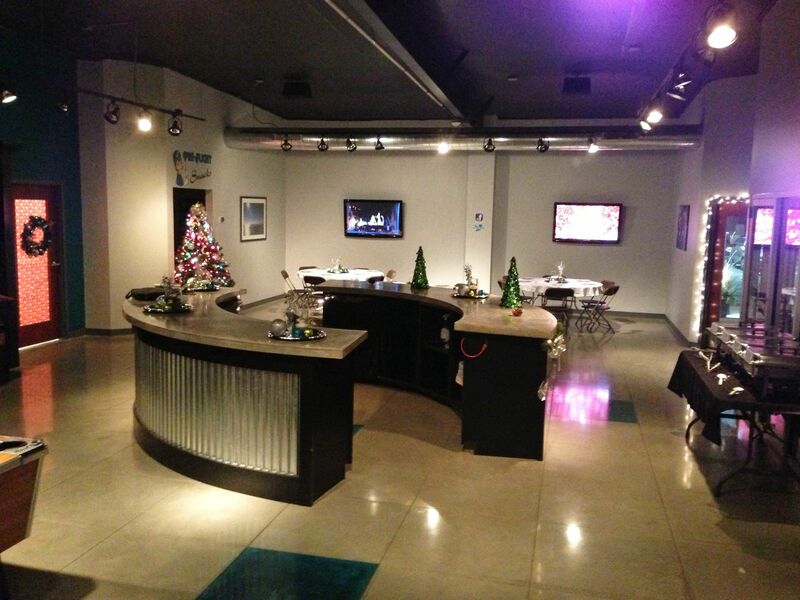 Looking to host a business or club meeting at the Flight Deck? 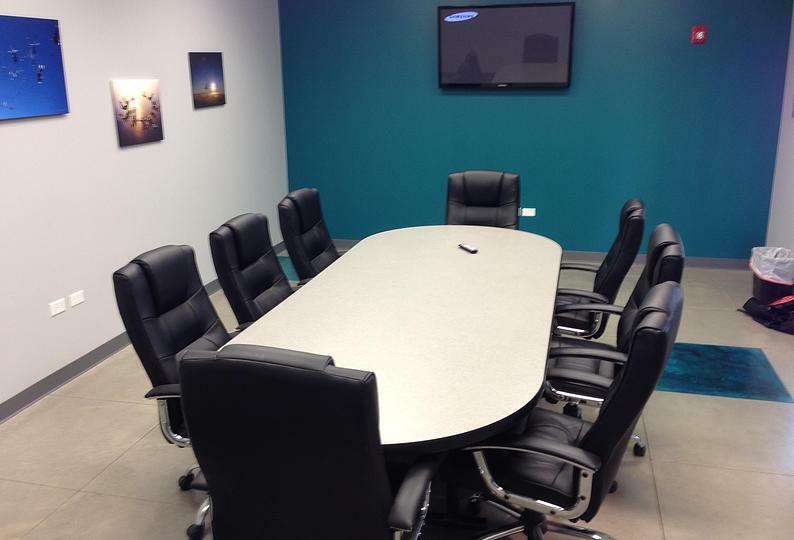 We have private conference rooms available and can cater your group during the meeting. Contact us to learn more about our private room rental services and space availability.